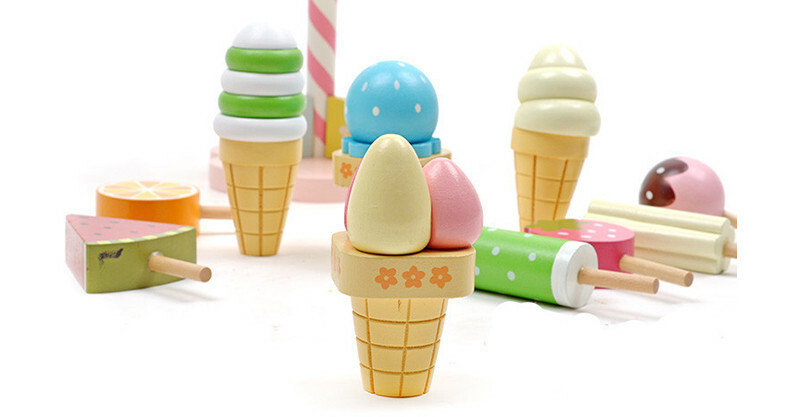 I scream, you scream, we all scream for wooden toy ice cream! 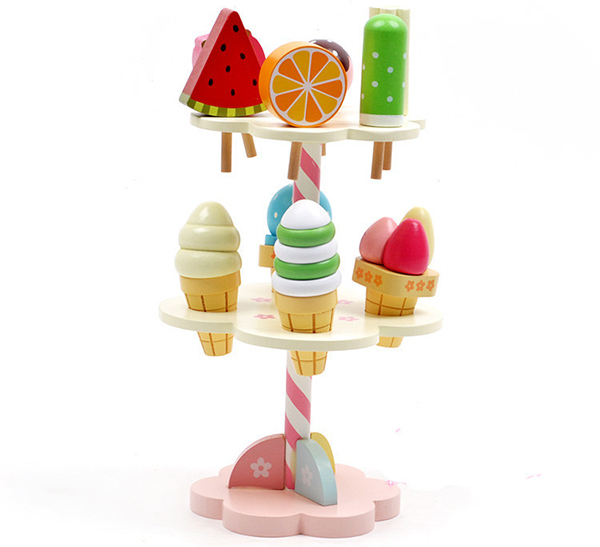 Enjoy ice cream all year round with rather delicious looking ice dessert wooden play sets. They look just as pretty and tasty as the real deal and there’s no sticky fingers to deal with! I’m a big fan of wooden toys and a massive fan of ice cream, so to see my two loves combined does wonders for the soul. The pretty as a picture Ice cream Parfait Set ($79.95) includes all the things the kids need to whip up their own Mr Whippy style delights. 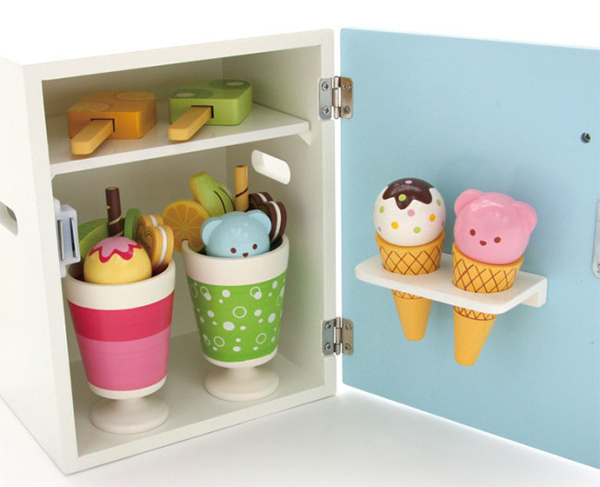 Encased in this sweet petite freezer are spoons, parfait cups, fruit and a selection of tasty ice-cream toppers. If it’s a high tea presentation you’re seeking for your pretend ice-cream, the Ice cream Stand ($54.95) confidently nails the brief. A two tiered stand proudly displays waffle look wooden cones and a bounty of interchangeable ice cream toppings to mix and match as your (pretend) appetite pleases. 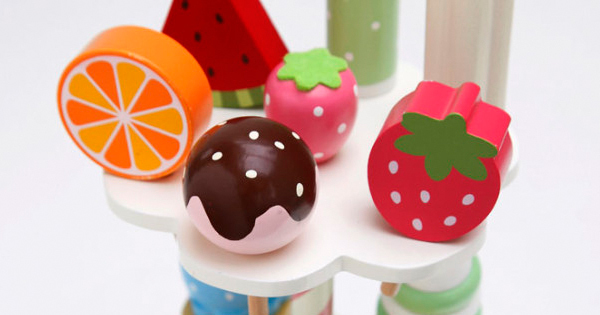 Stock the play freezer for winter fun and in time for the hot summer with these super sweet wooden treats at Petite Jolie.